You may recognise her as one of the trainers from hit reality show The Biggest Loser. Maybe you've seen her on The Circle, or on the television revival of Gladiators. Maybe you've lived under a rock for the last four or five years and have never seen her at all, but for those who have, there is more to Tiffiny Hall than you might expect. Unless you have perused the shelves of your local book store or library, you may not realise that the Logie-nominated television personality is also the writer of several health and wellbeing books, as well as the author of a new fiction series aimed at younger readers. The first book of the Roxy Ran series, White Ninja, follows the story of 13-year-old Roxy, who only learns of her special ninja powers after she is confronted by the school bully. Along with new boy Jackson - who introduces her to the world of martial arts and helps her to understand her new abilities- she learns about a legendary warrior who is being hunted by both the ninjas and the samurai, but is trapped within the confines of the mystical Tiger Scrolls. With this discovery, Roxy and Jackson must embark on a quest to find the Tiger Scrolls and free the White Warrior before the samurai can get to him. But in order to do this, Roxy needs to embrace and unleash her inner ninja. 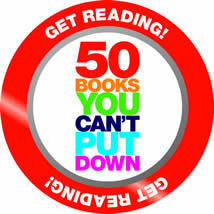 White Ninja has been selected as one of the books for the Australian Government's 50 Books You Can't Put Down Get Reading initiative, and is aimed at readers nine years of age and up. Not just an exciting adventure story, this novel is all about finding your inner confidence and latent self-belief, and teaches the very things that its author is so passionate about. 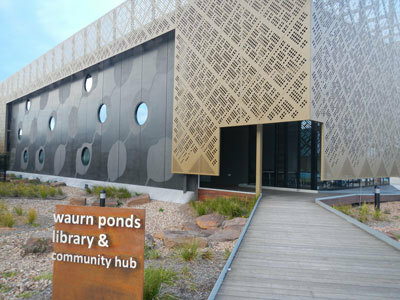 As part of a national book tour, Tiffiny Hall will be visiting Waurn Ponds Library on Wednesday 5 September, for a special afternoon tea and author talk. This is a fantastic opportunity to meet the popular television star, and learn more about her pursuits in health, fitness and creative wellbeing. 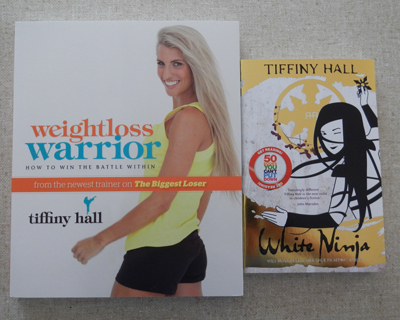 She will discuss White Ninja and her inspirations for the novel, as well as her sporting and career achievements.